How mymuesli Builds Perfect Customer Communication – Watch Now! Great sales are all about customer segmentation – our customer mymuesli knows this. To solve the intense challenges in a personalized customer communication (churn prevention, customer reactivation, customer loyalty – to name a few), mymuesli is using the new minubo feature. It allows CRM and marketing teams to easily segment customers across all relevant data points. 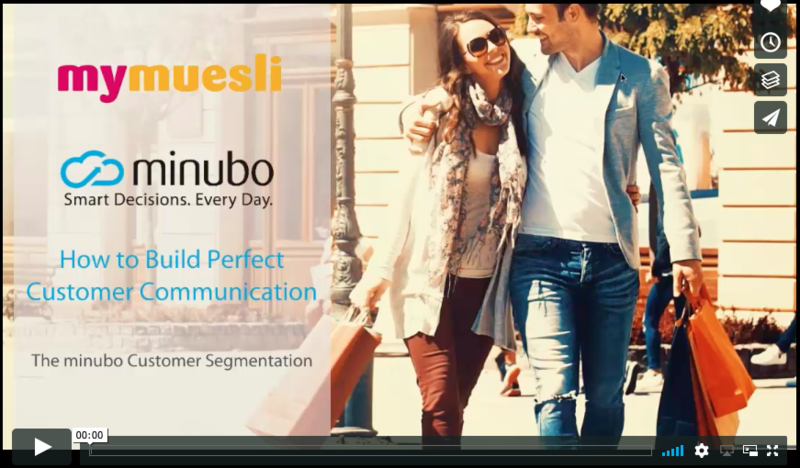 In this webinar, minubo Product Manager David Cellnigg and Florian Teufel, Head of CRM at mymuesli, present how the minubo customer segmentation revolutionizes customer relationship management and how it contributes to higher sales and a strong brand loyalty.